Nigerians, who reacted to the communication between Aisha Buhari and Senator Shehu Sani, were angry with their use of animal names to paint the country’s situation the same way Nnamdi Kanu has been referring Nigeria. 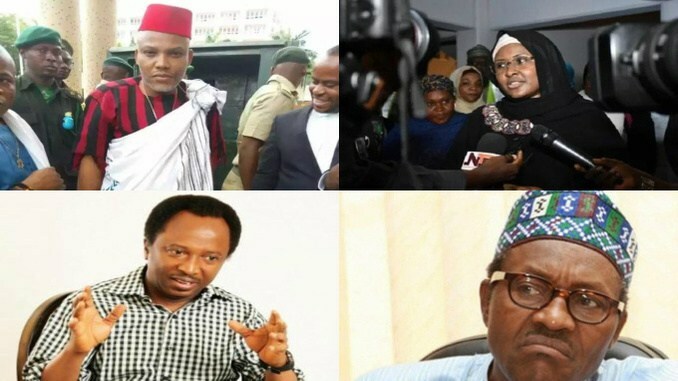 Those who commented said it was wrong to illustrate the tussle in the presidency with names of animals Some Nigerians have reacted sharply to a message posted on social media by Senator Shehu Sani, and the reply by Aisha, wife of President Muhammadu Buhari. Some of those who reacted alleged that the duo had joined Nnamdi Kanu, the leader of the Indigenous People of Biafra (IPOB), in calling Nigeria a zoo. Though the two did not categorically call Nigeria a zoo, they spoke in anecdote illustrating details with about the current crisis in the country’s leadership with animals. Many of those who reacted failed to consider the actual message the two tried to convey. These Useless Housa people thinks that Nigeria belongs to them but this coming war will destroy them all.